Marriage in India is a matter of social prestige and standing. More than the two individuals actually taking the vows to spend the life together, we think about the families entering a bond. This stress on the social aspect often interferes with our personal sphere. There’s no denying the fact that Indian civilisation was built on the pillars of social norms and rules. Also, the longevity of our culture is majorly due to the fact that we still are a very much social rules oriented people. However, there is another side of being an Indian, as well. With education and economic progress, modern men and women are getting independent and in most events of love marriage in India, they are fully capable of sustaining themselves, financially, religiously, as well as socially. That means there is no way that your decision to get married to an individual outside your sect will cost your identity. Legally, your right to choose a life and life partner should be respected by your parents. In earlier days, marriage was a potent way to keep the society safe from the attacks of the intruder sects. After marriage the property of the sect, therefore remained within the sect, maintaining the wealth and status unharmed. Now, when the idea of the wealth and identity of a sect are no more crucial to our survival, the time has come that we put more importance on individual well being and move towards a society where the individual is an important pillar as the sect is. India being a strict culture of sect and castes, it’s no wonder our society has many castes and sub castes. And, we also have a strong tradition of identifying an individual as a representative of hi/her caste or sect. Status, thus, is a matter of belonging to certain sects. With modern education and opportunities, however, more individuals are making their own identity as successful professionals. The very idea of a successful, ‘high class’ citizen has changed with time. You need to convince your parents to accept this change by showing the logic of self-made individual and how identity is now being defined. Also, you need to realize that it’s the pull of the past beliefs (that saved us from extinction and slaughter) is what is making them blind to the new changes. Spend time over negating this social paranoia when you need to convince. The crux of Indian penal system is establishing respect for individual choices that are well within the civil codes. Marriage falls well within the premises of the penal code. 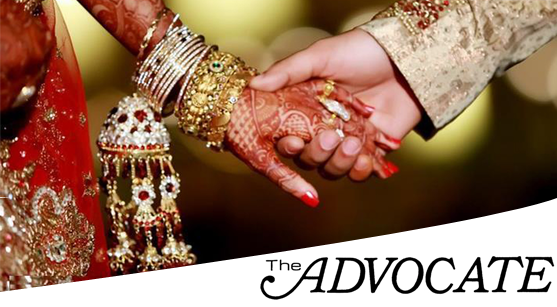 Should you feel the need of protection, find the best advocate for love marriages in Chandigarh High Court and take proper legal actions.